Even in 2019, the phone is not dead. While smartphones have become smarter and smarter, they are still being used to make actual phone calls – and consumers are calling auto dealerships as a part of the buying process. 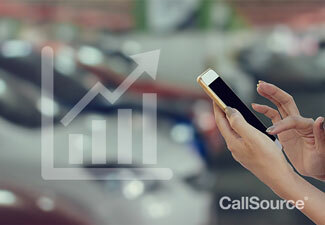 In the brand new Automotive Inbound Call Data Report, CallSource analyzed over 106 million phone calls to auto dealers over a 4 year span. The report illustrates how vital inbound phone calls are to the automotive industry, and delivers key takeaways for dealers to keep in mind when prioritizing phone calls. Take a look below for 10 of the most important stats from this study, or view the whole report in its entirety here. Over half (54%) of all inbound calls to automotive dealerships are revenue-winning opportunities. One in four leads calling a dealership are for sales – 75% of prospects calling in are for Fixed Ops. Only about half (51%) of your sales calls in 2018 were viable leads. 80% of inbound sales opportunities are being missed. Less than a quarter of all sales opportunities (20%) are actual confirmed appointments. About ¾ of all inbound prospect calls to dealerships are for Fixed Ops. An average of 40% of calls to Fixed Ops have resulted in an appointment since 2015. 60% of Fixed Ops calls are missed opportunities – no appointment set. Appointment conversion rates to Fixed Ops have increased from 35% in 2015 to 52% in 2018. Almost 90% of parts calls don’t result in an appointment. Over half (58%) of calls to the Service department in 2018 resulted in an appointment set. Dealers are able to convert more calls to the Service department into appointments than they can in Sales and Parts combined. Service appointments have been increasing since 2015, but 40% of prospective service appointments are still booking with the competition. Numbers don’t lie – the phone is vital to automotive dealers. It is imperative for dealerships to track phone calls and implement changes for performance increases. Check out the full automotive report here to view the above stats and for advice to help your dealership improve.